We're keen to share your successes with DT Bait. 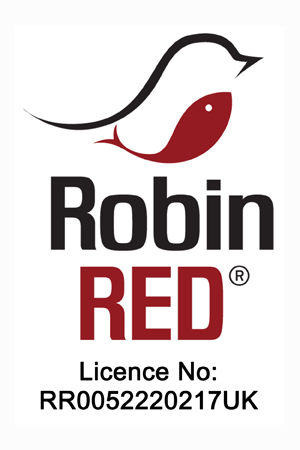 To send us your catch report, click the button below, fill in the form and upload your picture. We may not be able to post every catch report, but the quality of the photgraph as well as that of the fish will help ensure selection. 39lb 4oz mirror from Somerley lake caught on a pink Green Beast wafter over a handful of Cold Water Green Beast freebies. After a long week of high pressure and hot sunny weather the fishing had not been going well with the first few fish being caught on the Wednesday morning, the trip was nearing the end and by Friday I had had nothing in the way of a take or pick up! Late morning on the Friday the wind suddenly swung to a westerly which I had been waiting for all week and the fish started to move towards the corner of the lake where I was fishing, I noticed that on the opposite bank where there was a stalking swim that the fish were showing more there than over my baited areas, so I grabbed all three rods and went round to the swim and quietly placed three rods close in, after about an hour a large fish head and shouldered to my left and I quickly reeled in one of the rods and cast a single 18mm Fish Blood & Orange bait soaked in DNA to the area, 15minutes later the stone which I placed on the spool flew up in the air and the rod was away! 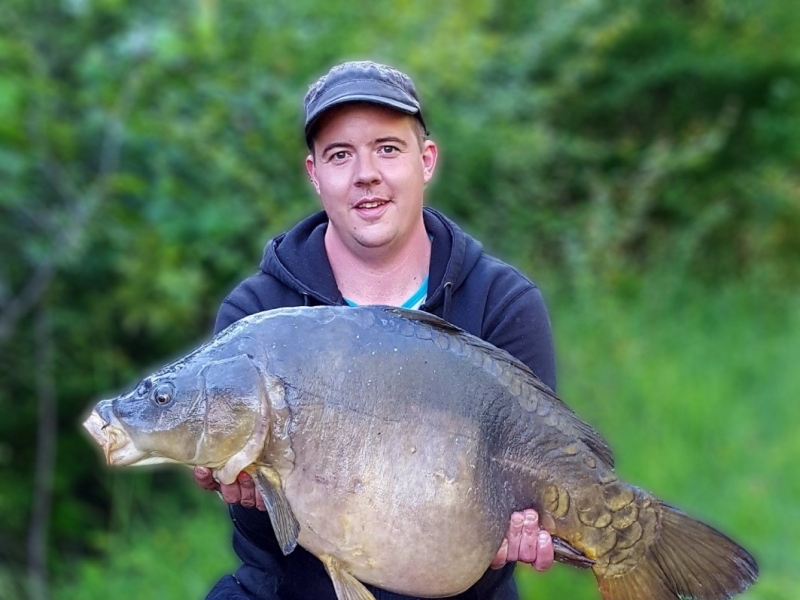 After a short fight and using its weight the fish was in the net and once weighed was confirmed as a new pb of 51lb 2oz, I was over the moon! Later I headed back to my swim in preparation for the last night of the trip and feeling pleased that I had not blanked I then placed all three rods back on the baited areas, and at 5am only hours before we had to leave had a screamer on the middle rod, which after a long and very hard fight resulted in another new pb of 52lb 3oz common. A totally mad but very pleasing last 24 hours! and one I thought I would share with you guys, thanks for all your help and friendly advice that you guys always give. 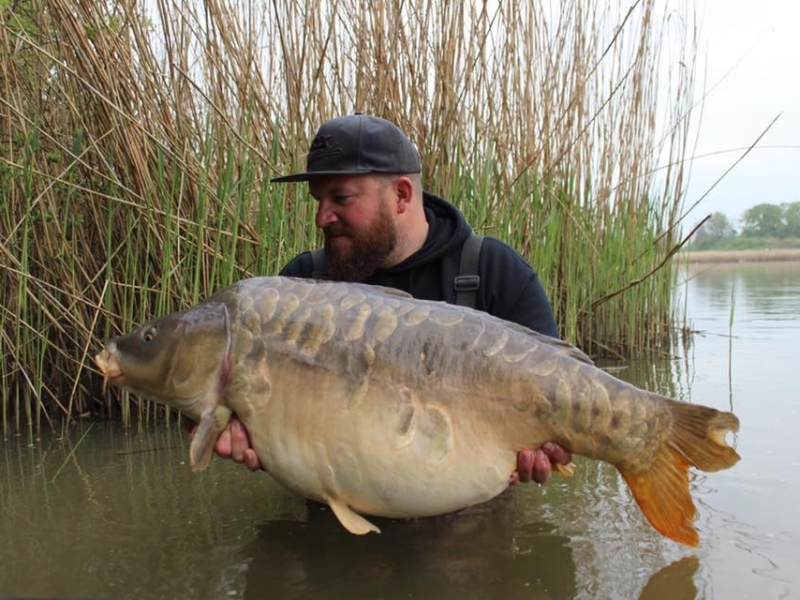 Bjorn had six fish to 34lbs caught on his local Belgian canal. 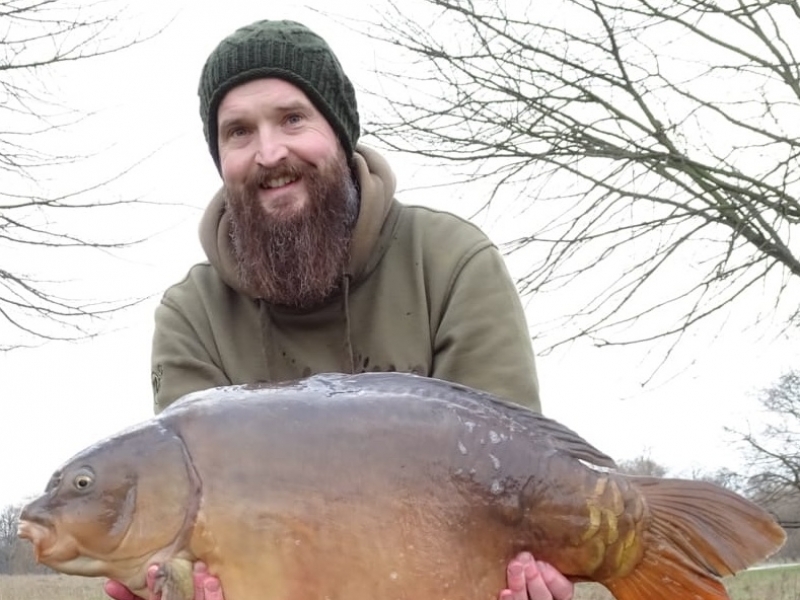 He used his own boilie recipe made up of the Howler and flavours: Ripe Banana and Squid. 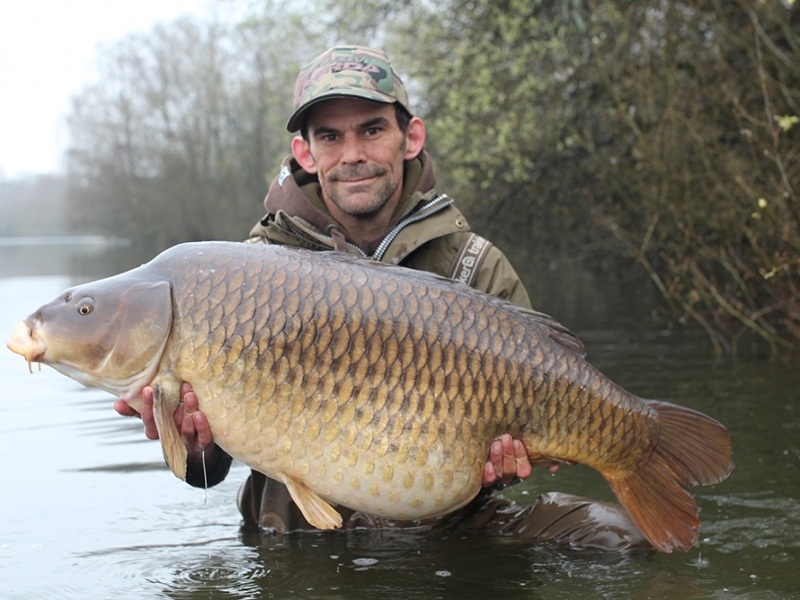 31lber known as the Long Common, caught at St Ives Shallow Pit on N Blend washed out white wafter, over a bed of N Blend with hemp and maize. Fished to a hard spot close to a weed bed . 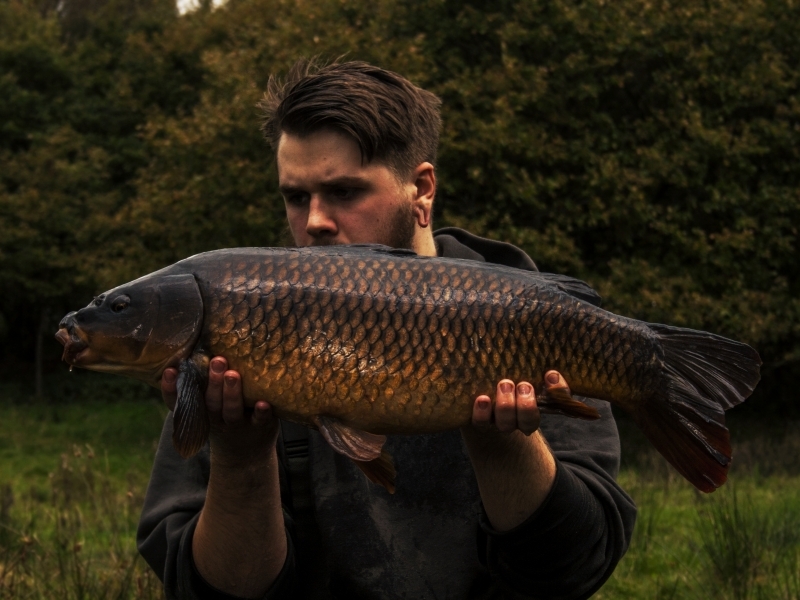 The guys fished a mixture of Peach & Sour Cream, Supa Fruit and N-Blend boilies to keep the fishing guessing. They soaked these in the new liquid food THE ONE and fished 18 and 22mm hard hook baits over the top. 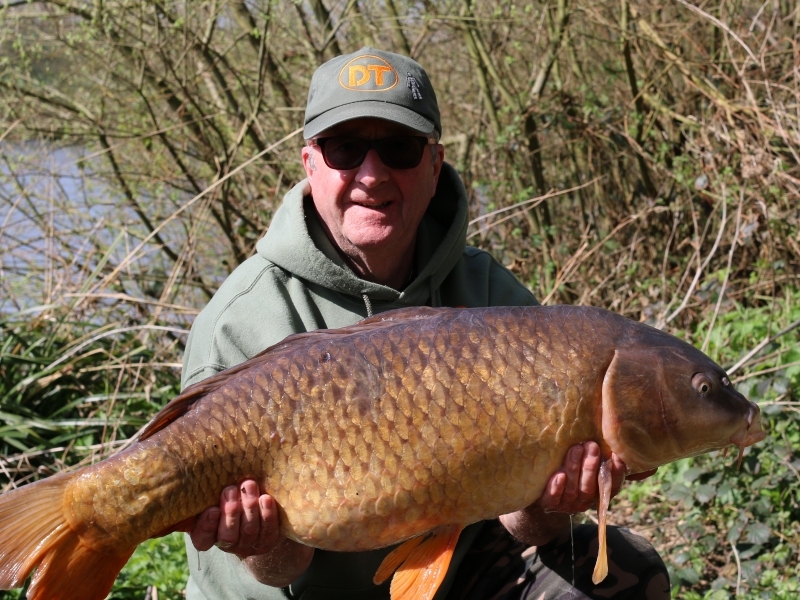 Neil - DT Consultant - took The Woodcarving from Fryernings on N-Blend at 48lbs. A rare fish to come out - the last time was nine months ago, and eighteen months before that. 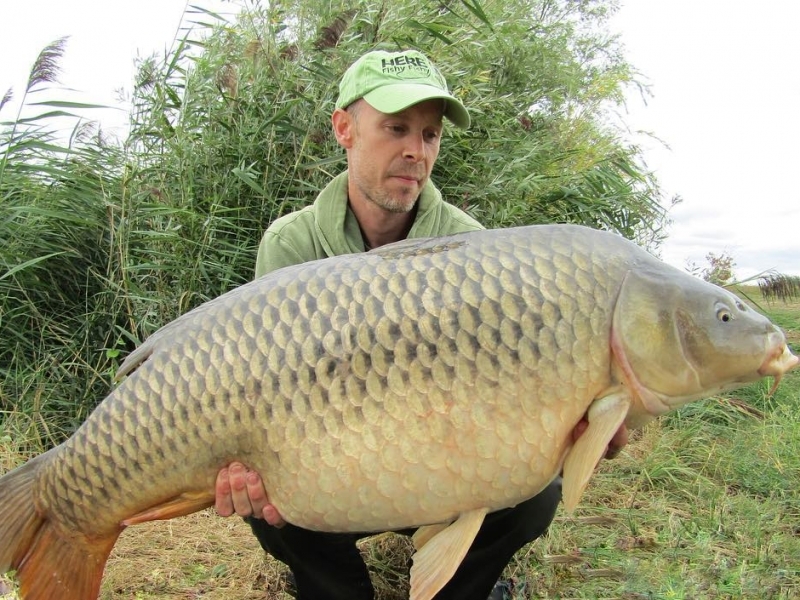 "Very satisfying"
DT Consultant Martin's 43lb 10oz common. 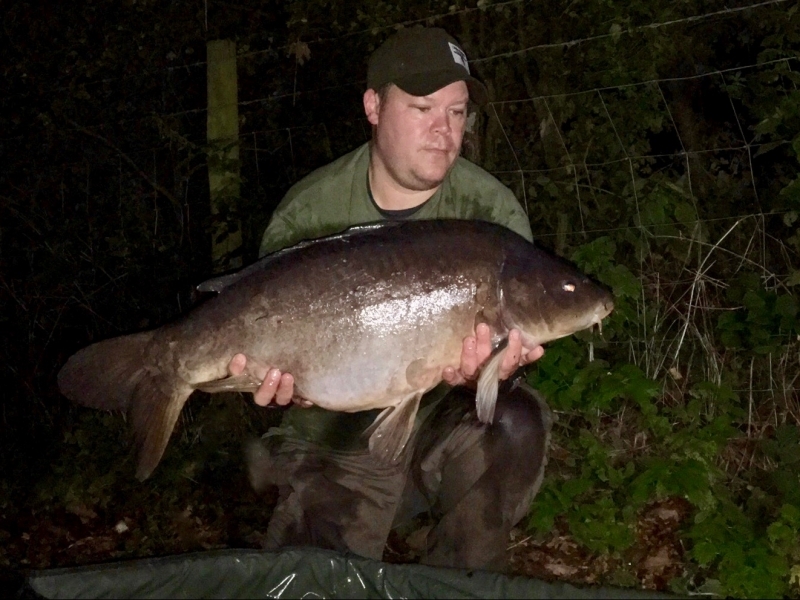 It was caught on a single hookbait DT Zinger pop up on a size 4 krank x spinner rig with crimped 25lb boom, hybrid clip and 4oz tournament lead. 108 yards, tight to the side of an island. 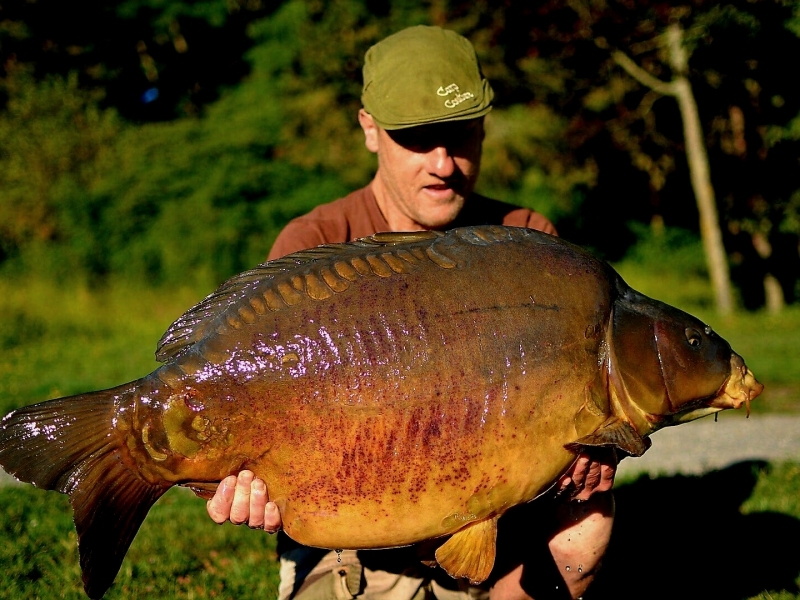 "A PB Mirror 24lb 14oz caught on a Cold Water Green Beast boilie on a size 6 blowback rig. Fished over a kilo of the same bait. 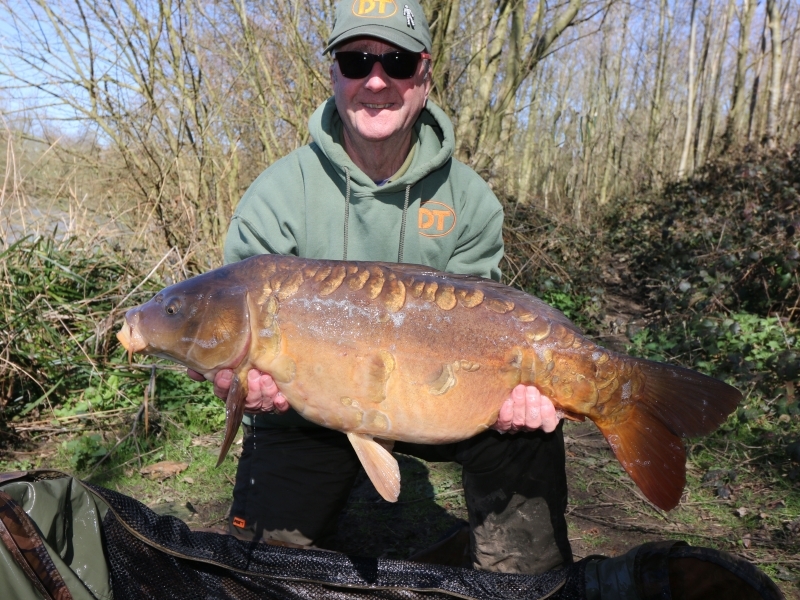 Pebmarsh Lake during the first warm spell of spring"
Ended up with 5 fish with a 18lb and 34lb and 2 lost. Fishing at 130 yards range I used a mixture of Cold Water Green beast and Berrybubble boiles in all 15kg. Best of eight fish - three over twenty pounds. 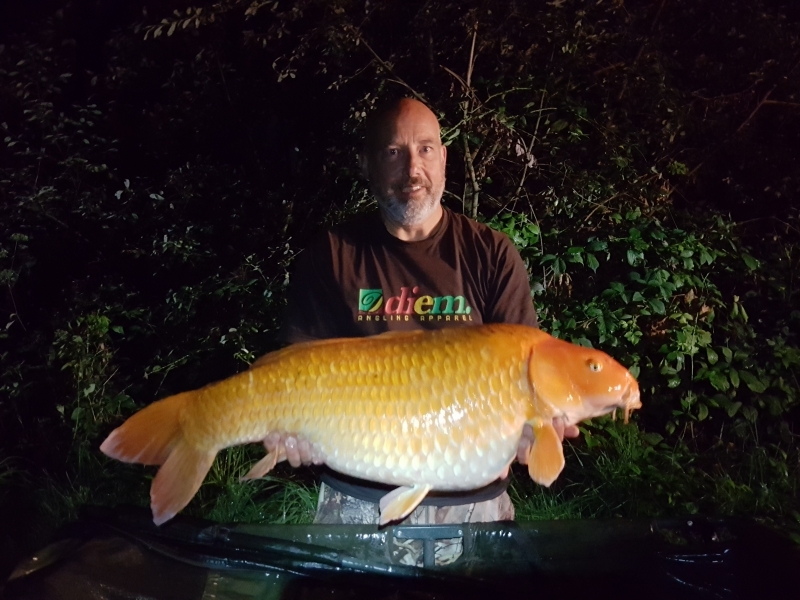 Common 27lb 12oz all caught on the middle rod using the Cold Water Green Beast on a blowback rig, over a 2 kilo spread of boilies. 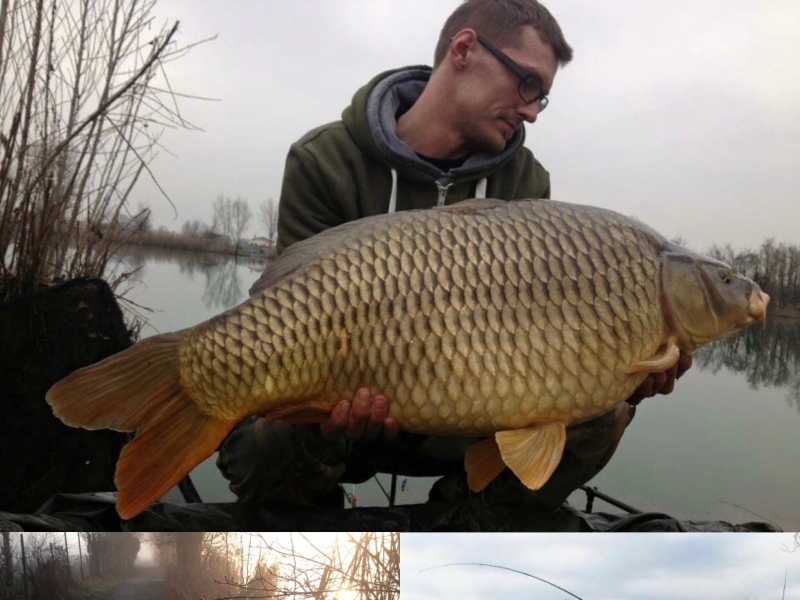 Mikkel caught the beautiful carp in an Italian gravel pit this spring. Crushed N-Blend boilies in a solid bag with a 15 mm N-blend wafter ..... 32 rod lengths out on a plateau. A very nice 32 pounder. Having been unable to fish as much this year it was only my third season on the main lake at Fryerning. With only one other fish out since 30th November last year I knew the odds were against me but as I was able to secure a spot in the lodge swim, and the weather was getting better I felt I had a chance. In the afternoon of Saturday a few fish showed at range and as this was the only thing to go on I cast two cold water green beast pops ups as far as I could manage towards the showing fish. Nothing happened over night but at 7am my middle rod roared off. After a steady fight I slipped the net under an old friend in the shape of a koi known as the Dalmation. At 36lbs it was a welcome start to my catches for 2018. 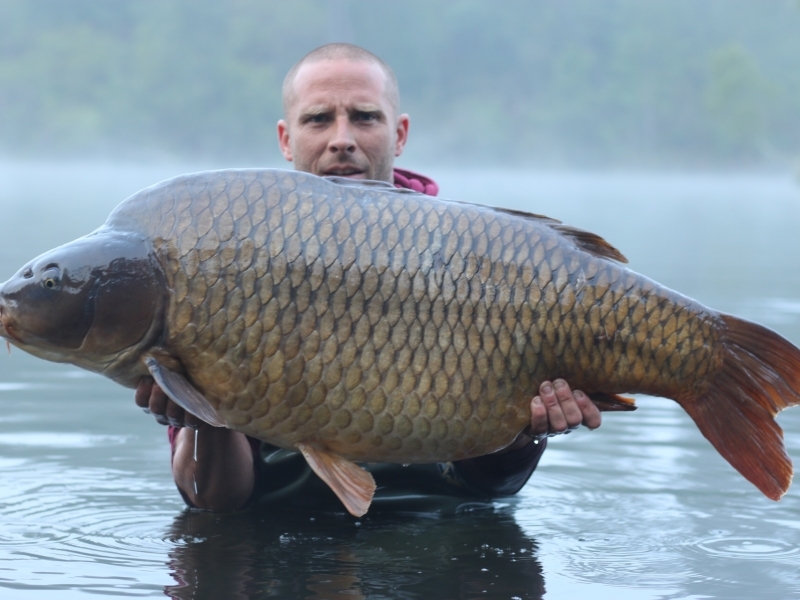 59lb 10oz common caught along with 3 mirrors to just over 30lb during a recent trip to France, all falling to balanced Supa Fruit bottom baits fished in the silt at around 80-90 yards. 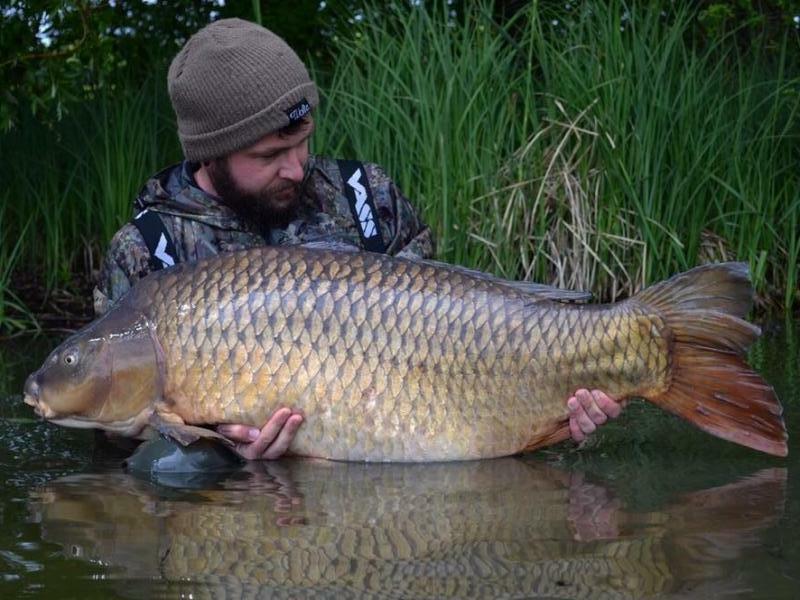 A stunning 17lb, 40 year old common, caught from a very low stocked reservoir in the North West of England. Caught using a wide spread of Berry Bubble with a Scopex Cult Classic over the top. Back lake mirror at 30.4 on 3kg Pukka Fish Peach & Sour Cream 45yards out to a weed bed . 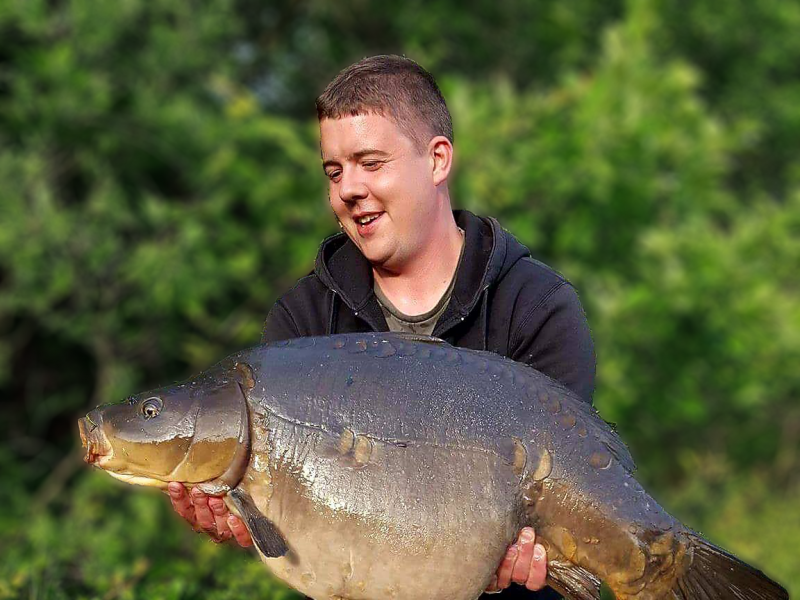 Mirror 23lb 10oz caught on a Pukka Fish Peach and Sour Cream boilie glugged with DNA Fish Pro. 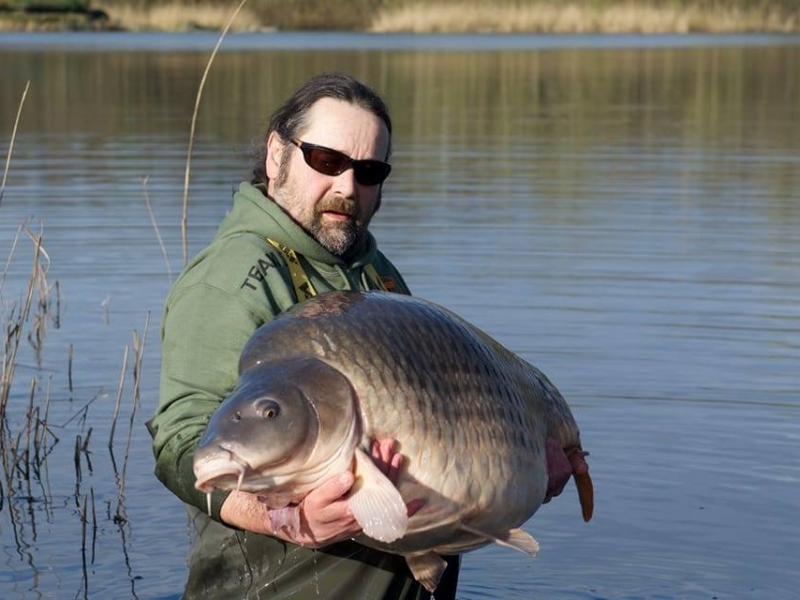 Fished the middle of the lake at Inworth Grange over a kilo of boilies. size 6 hook blow back rig. 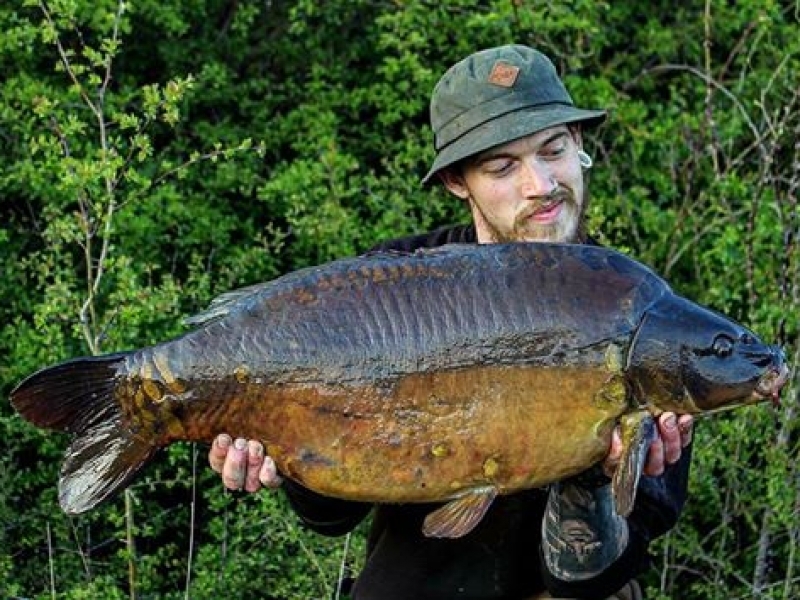 A PB mirror for me. 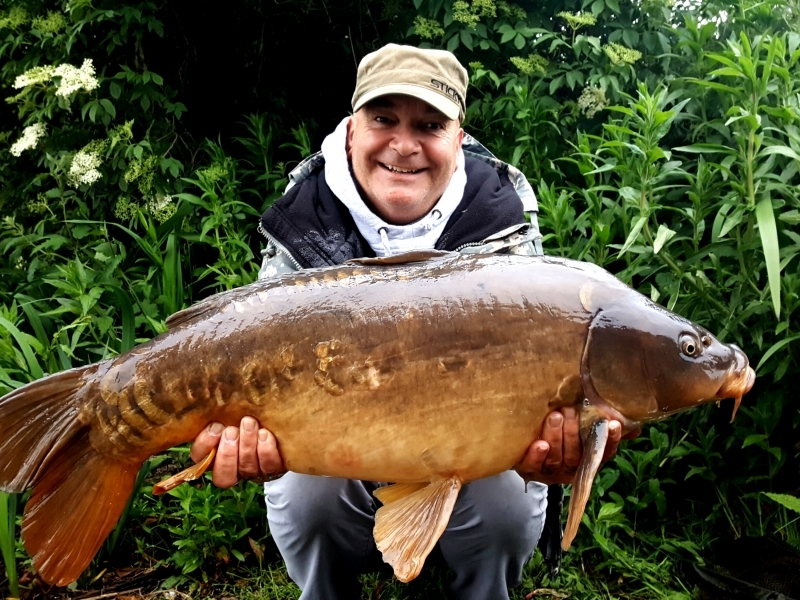 25lb mirror from an Essex Syndicate Lake. 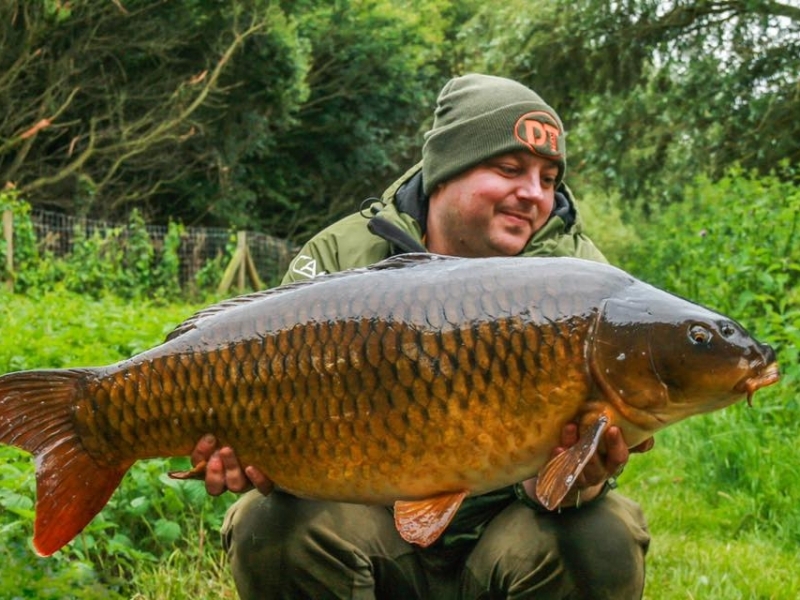 Caught on a 15mm Fish Blood and Orange pop up in a PVA with broken Fish Blood and Orange boilies. 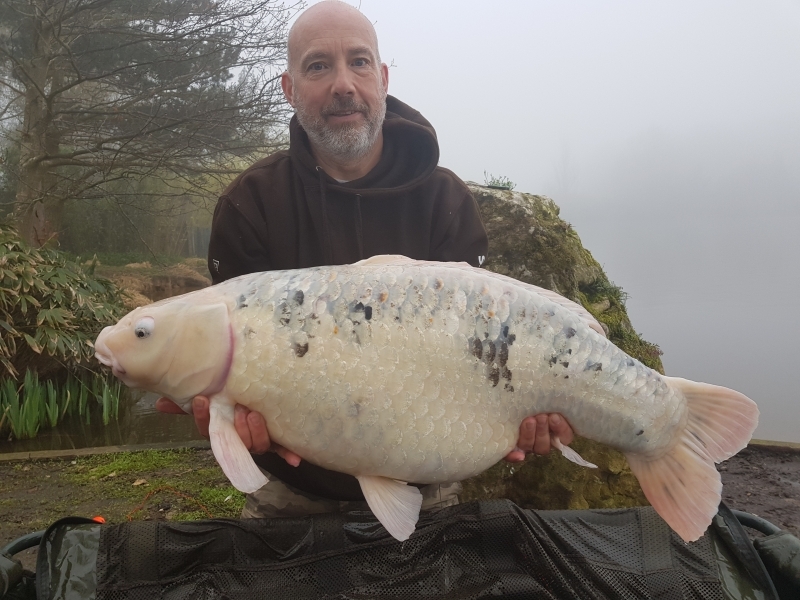 After a very hard weeks fishing on Etang du Manoir where the lake only produced 10 fish all week I was finally rewarded with one of my target in the shape of a 37lb orange Koi. Not everyone's cup of tea I am sure!! 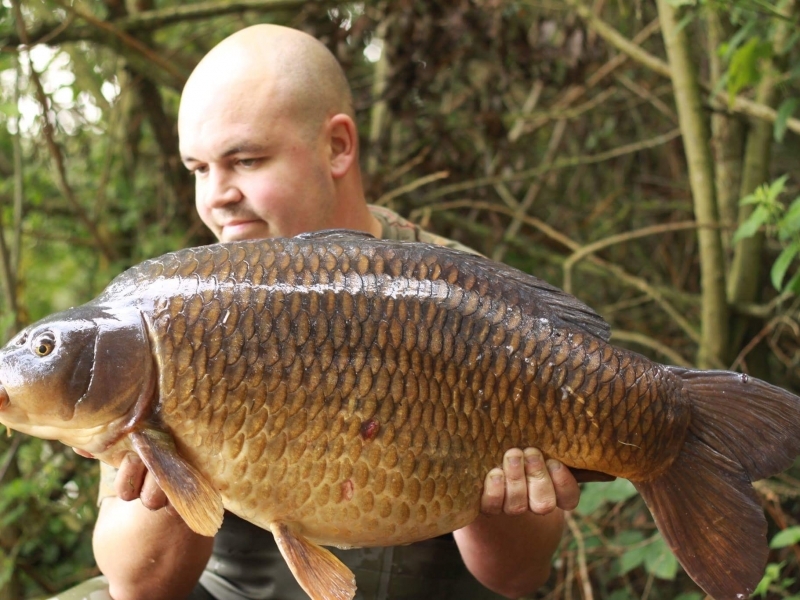 A white N-Blend pop up was it's downfall over a bed of crushed N-Blend boilies. This mirror was taken on a quick overnighter before work fishing close in on a small hard area and went 35lb 4oz. 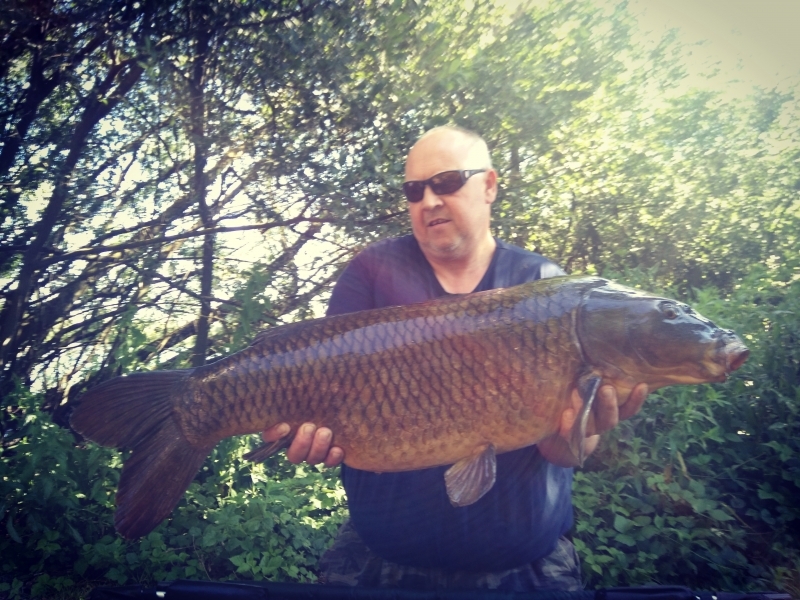 The common was caught on a quick morning's stalking session 2ft from the bank and was hooked on a N-Blend bottom bait and a small bag of broken baits. 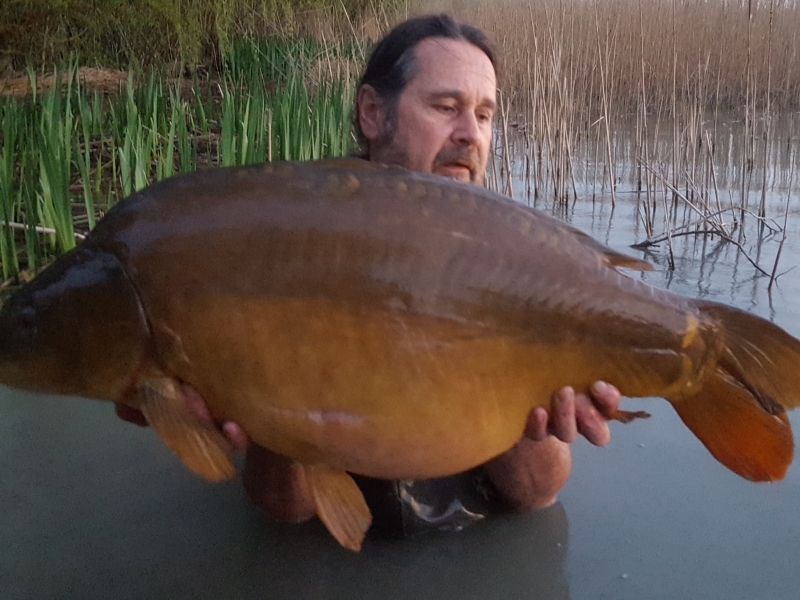 Bob had a productive weeks holiday in Blue Water Lakes, France - a run of 16 fish: 6x20's, 7x30's, a 42, 53, and his new PB a 66lbs Mirror - all caught on Pukka Fish Oily Chicken. I got down to the lake at about 12pm and set up in the teeth of the wind; and at 9 pm the left hand rod was away. An epic 20 min fight was over as she slipped in to the net. 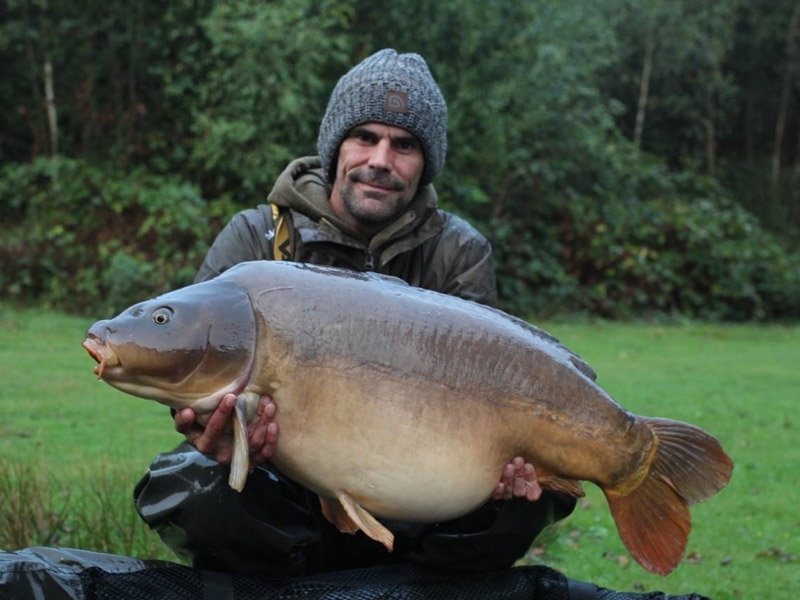 She was in mint condition and at 41.8 she was my new PB mirror too. The rig was a hinge stiff rig over a scattering of N-Blend put out to where I'd seen fish show at 15 yards. After a few year focusing on fishing abroad I had a go at some local fish in a big pit. The fish was getting ready to spawn but cold weather (Denmark) keept them going on the food. 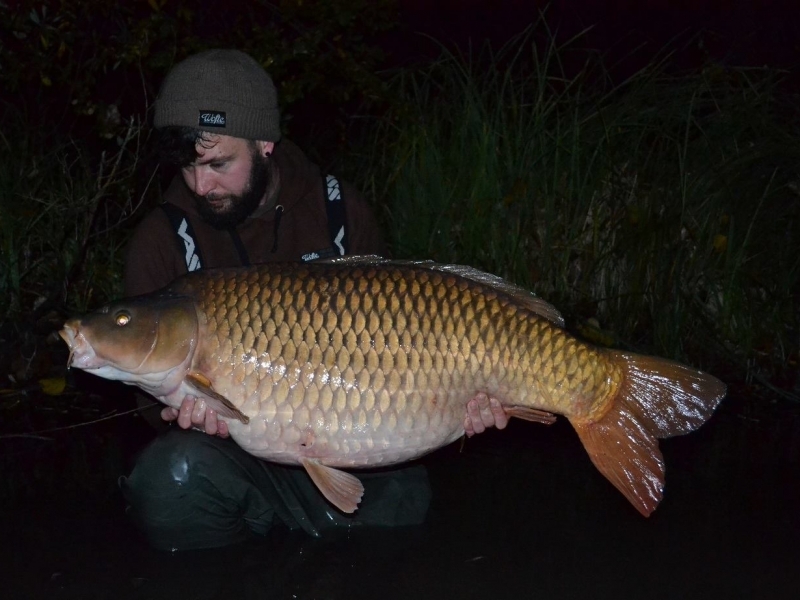 51lbs 7 oz common caught at Vallee Lakes France, N-Blend 18mm fished on chod over 4kg bed of 15-18 and 22mm freebies on a clear patch at 100yards on the back of a weed bed. Put up a great fight and went straight into the weed bed, took 35 minutes to get her into the net. This was accompanied by two 40's, a 30 and a couple of high 20's. 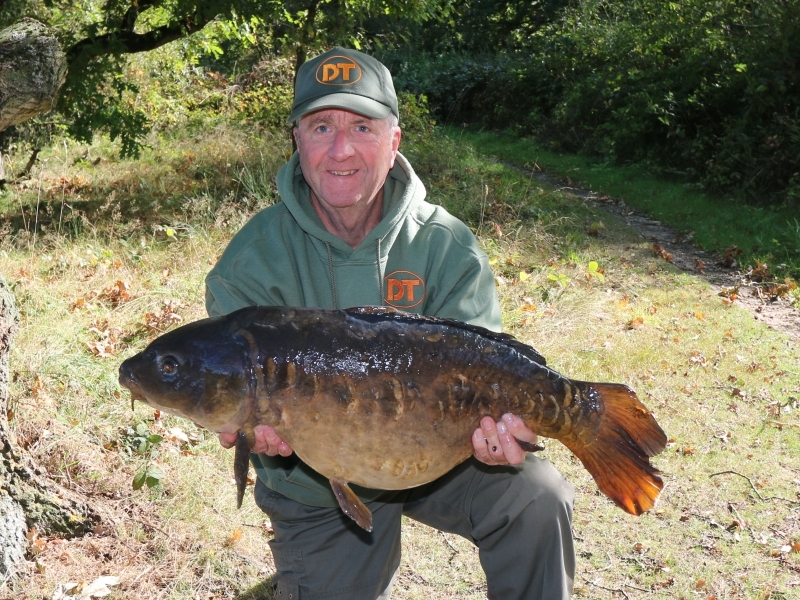 DT Consultant, Martin Pick wanted to share his recent success with everyone. Here is what he has to say.. 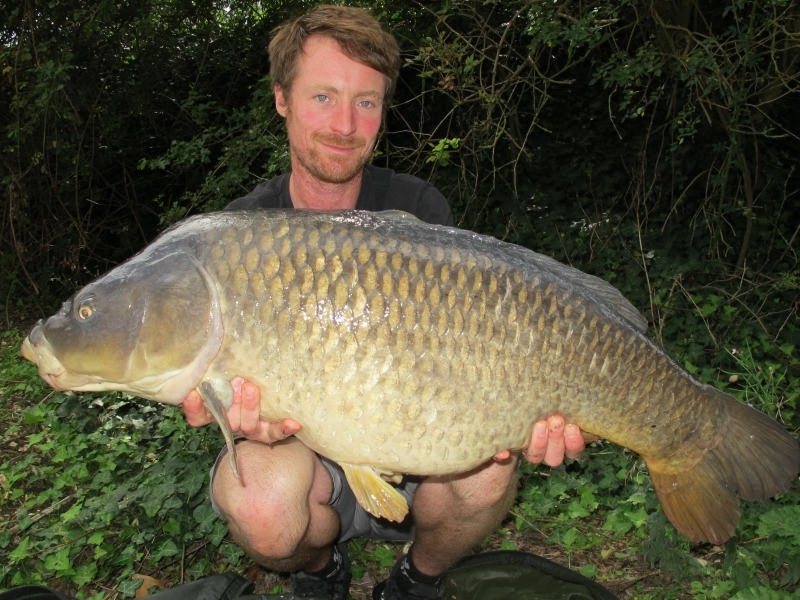 I caught this 41lb 4oz common out of Wellington Country Park at 60 yards range. I fished over half a kilo of chopped and whole N-blend and Cold Water mix with a small amount of hemp. I used a white Cold Water mix pop up over the top and had the take just as it was getting light in the morning. 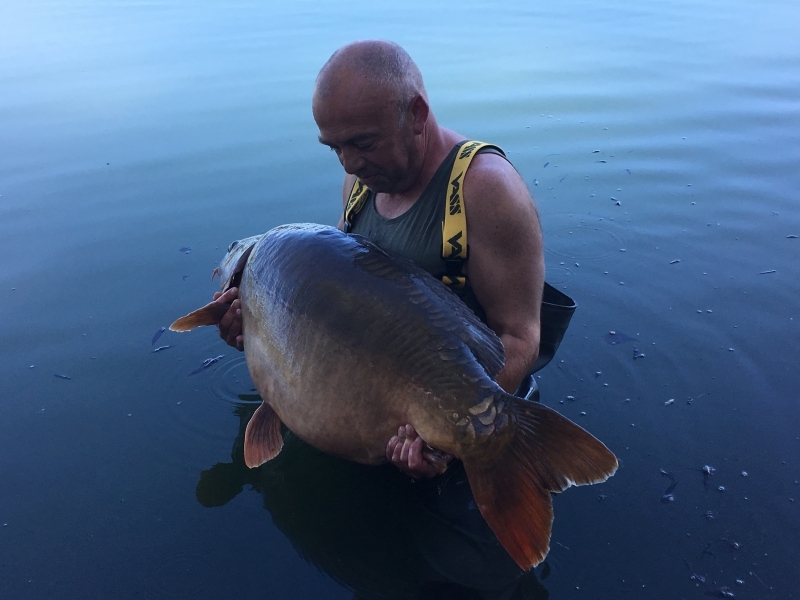 A nice 50 from Etang 5 in June 2017. John fished on Fish Blood & Fresh Orange. 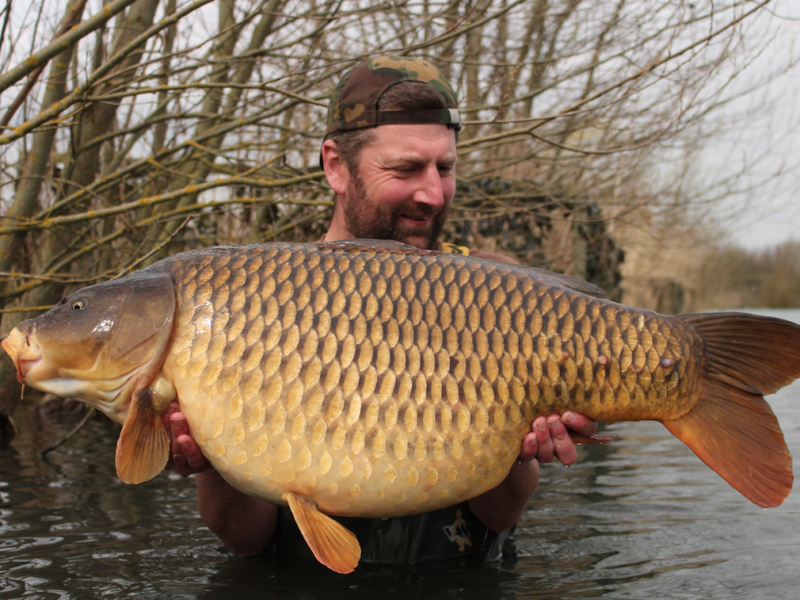 DT Bait team manager, Paul Bocking has landed a new PB Common of 42lb 6oz. 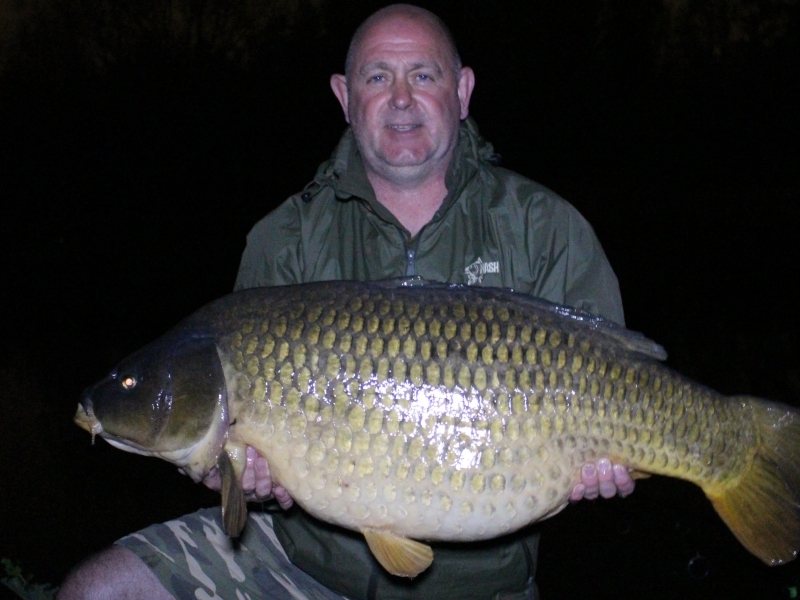 Paul also had 2 other fish of 24lb 2 and 16lb whilst on a recent quick overnight session after work. 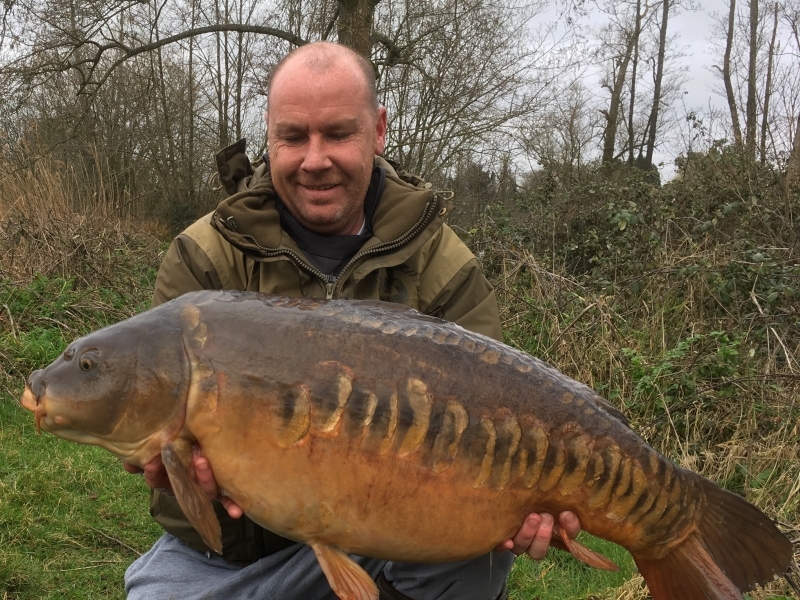 The fish were caught over a bed of Cold Water Green Beast using the ever faithful Cult Classic Scopex Pop-Up on a hinge stiff rig using a Fox edges curve shank size 4 hook with fox Trans khaki fluorocarbon. Match Pit Wivenhoe. Nr Colchester Essex. Supa Fruit washed out pink pop-up on a stiff hinge rig over 20 15mm N Blend. 07:15 One toner and fought like a demon. When I saw the size of the fins I realized where the power came from. 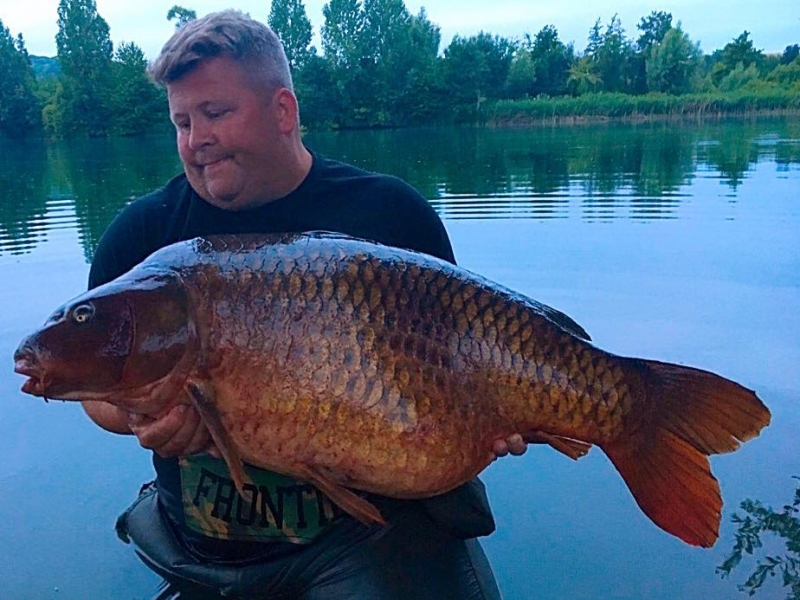 Danish friend of ours, Anders, has sent in his catch report..
Will Mant has a very successful session of late catching a new personal best common at 68lb 4oz. 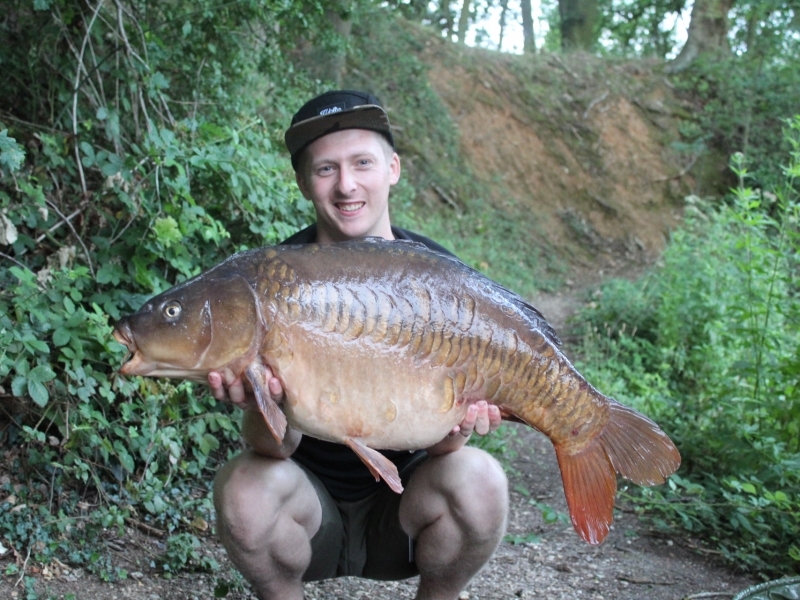 It was Will's third 60lb+ carp from the venue, all of which have fallen to 18mm Supafruit bottom baits! Baiting steadily with 20kg of free offerings throughout the week. Will also landed mirrors of 30lb 10oz, 32lb, 39lb 9oz, 41lb 6oz, 45lb 4oz, and a 44lb common! Tom put in a number days over a few weeks to nail his target fish. 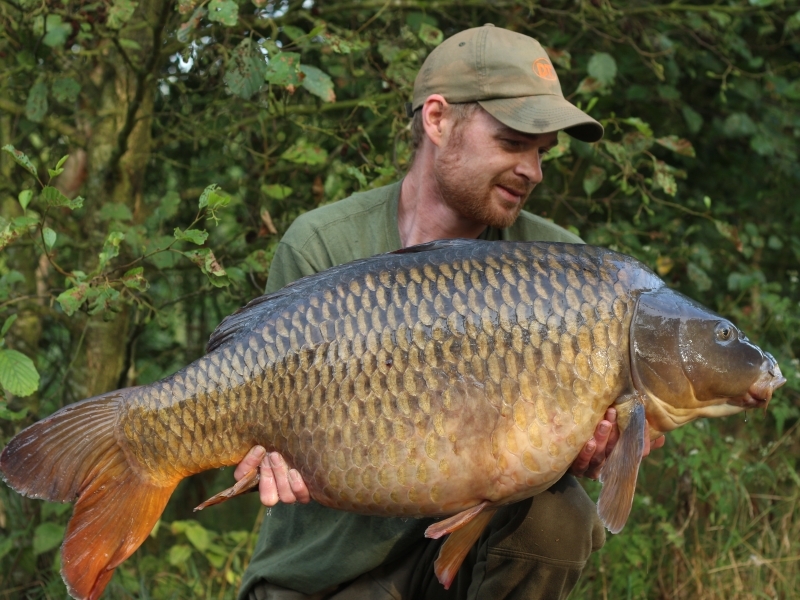 It resulted in him catching the Back-up common at 47lbs 10oz in Braxted Back Lake. He consistently baited one spot and put two rods on it to ensure that if a Tench took one he would still be covering the mark. He caught it on Pukka Fish Peach & Sour Cream with a D rig with a long hair. Water Green Beast. 30 yards out to a weed bed.